Sick of having to channel all your abilities on your RDPS toons? Tired of having to stand in melee range and get hit by all the AoE? Sick of being pushed into the tank role? If any of the above is true, then the Powertech is the DPS option for you! Taking advantage of being the only mid-range spec in the game, Powertechs bring a number of benefits, such as high mobility, decent range on all their abilities, a number of decent defensive cooldowns, and some of the strongest mechanics negaters in Hydraulic Overrides and Sonic Rebounder. Advanced Prototype is a very burst oriented spec. Almost all its damage is instant, it has multiple attacks that deal delayed damage or off the GCD damage in order to deal as much damage as possible at once, and it doesn’t have to channel a thing – though in an AoE rotation its a good idea to incorporate Death from Above and Flamethrower for their great AoE damage. On top of that, it has a huge number of defensive benefits, such as +3% defense chance, 30% damage reduction while stunned, 30% AoE damage reduction, A reduced energy shield cooldown when you are attacked, a damage absorb shield when being attacked, and shoulder cannon can be talented to do a 5% self heal per missile – for a total of 35%. It also has access to 6 seconds of 30% extra defense and resist chance every time you use Sonic Missile. It does come at a cost, with its resource management being highly dependent on the target having a bleed, but when you can do all your damage without having to stand still in those nasty AoEs while standing at a distance, what is there to complain about? Due to the changes that were implemented in patch 3.2, Pyrotech is the uncontested AoE DPS Monster. Combining a DoT spread on Incendiary Missile with the strongest spammable AoE of Flame Sweep, a buffed Flamethrower, and a boost to Death from Above on burning targets, pretty much nothing can stand up to a Pyrotech Powertech in AoE situations. But AoEs aren’t its only strength. Pyrotech can perform quite well in a sustained situation, as where its not able to keep up to the burst or mobility of Advanced Prototype, it can make up for this through a number of DoTs, and far easier resource management. Combustible Gas Cylinder: Increases the critical hit chance of elemental attacks by 3%. High Energy Gas Cylinder: Further increases all energy and kinetic damage dealt by 2%. Focused Impact – Rail Shot now ignores 60% of the targets armor, and Rocket Punch + Flaming Fist now deal 10% more damage. Close and Personal – Energy Shield lasts 3 seconds longer. In addition, if you are hit by an AoE attack you vent 2 heat and are healed for 2.5% of your total health. This can not happen more than every 3 seconds. Explosive Fuel: While active, your chance to deal a critical hit is increased by 25%. This effect lasts 15 seconds, and its baseline 120 second cooldown is reduced by alacrity. Shoulder Cannon: When activated, it loads 1 missile immediately, and a further 3 over 20 seconds. These missiles can be launched by activating it again, and they are off the global cooldown. There is a 0.5 second cooldown between each missile, and once all missiles have been fired the ability goes on a 90 second cooldown, which is reduced by alacrity.. Note: While in Advanced Prototype Spec, Shoulder Cannon loads an additional 3 missiles immediately and they deal 15% more damage. Note: While in Pyrotech spec, Shoulder Cannon will deal 5% more damage to a burning target as it deals Kinetic damage. Note: It normally has a 10 meter range, but with efficient suit, this range is extended to 20 meters. Note: While in Advanced Prototype Spec, this has a 90 second cooldown. Note: The utility Liquid Cooling will cause you to vent 10 heat over 5 seconds when you activate it, as well as doing a minor threat drop. Energy Shield::120 second cooldown. Increases damage reduction by 25% for 15 seconds. Note: In Advanced Prototype spec, this cooldown is reduced by 3 seconds every time you take damage with a rate limiter of 1.5 seconds between reductions. Note: The utility Pyro Shield causes anyone who does damage to you while active to take damage back as a reflect as well. This can only happen once each second. Kolto Overload: 180 second cooldown. When activated, you gain a buff for 1 minute that makes it so if you drop below 40% health, you rapidly heal for 8 seconds. The Rapid healing can not take you above 40% health. The cooldown starts when the buff is removed, either through dropping off for being on for 1 minute, or activating the ability. Note: In Pyrotech spec, this cooldown also provides 30% damage reduction while active, and the cooldown is reduced by 60 seconds. Note: The utility Automated Suit allows this to cleanse stuns not provided by a Flashpoint or Operation boss, or other special non-player characters. Sonic Missile : 45 second cooldown. Drops your threat on all targets by 25%. Note: In Advanced Prototype spec, When activated, your chance to defend or resist an attack is increased by 30%. Note: In Pyrotech spec, its cooldown is reduced by 10 seconds. Note: In any spec, you can spec into the utility Sonic Rebounder to make it so using Sonic Missile gives all nearby allies a reflect shield for the next direct, single target attack aimed at them. Note: This cooldown is reduced by 30 seconds with the utility Iron Will. UTILITY ONLY – Shoulder Cannon, Requires Guard Cannon. Every missile from Shoulder Cannon does a 5% self heal, for a 20% total self heal. This is a 35% self heal in Advanced Prototypes spec. Grapple – 45 second cooldown, affected by alacrity. If the current target is not immune to physics, it will be pulled to you. Accelerated Reel drops the cooldown to 30 seconds, while Efficient Suit increases the maximum range to 40 meters. Note: The utility No Escape causes any enemies to be caught by harpoon to be rooted for 3 seconds. Quell – 12 second cooldown. Interrupts the current target, preventing them from using that casted/channeled ability for 4 seconds. Stealth Scan – 20 second cooldown, affected by alacrity. For the next 10 seconds, any stealthed enemies in the target area are revealed. Note: The utility No Escaper causes stealth scan’s cooldown to be reduced to 15 seconds, and causes any revealed enemies to be rooted for 3 seconds. Most of these have been covered, but here’s another quick run down of them. I have emphasised the more useful skills for PvE DPS reasons. Reflective Armor: When Close and Personal is triggered, it will also deal elemental damage to the attacker if it is within 10 meters. Suppressive Tools: Magnetic Blast, Flame Burst and Flame Sweep reduce the movement speed of affected targets by 50% for 6 seconds. Iron Will: The cooldown of Determination is reduced by 30 seconds, and The Cooldown of Hydraulic Overrides is reduced by 5 seconds. No Escape: Grapple and Stealth Scan immobilize affected targets by 3 seconds, and the cooldown of Stealth Scan is reduced by 5 seconds. Pyro Shield: Taking Damage while Energy Shield is active deals damage to the attackers, with a rate limiter of 1 second. Torque Boosters: Hydraulic Overrides lasts 10 seconds instead of 6. Accelerated Reel: Grapple’s cooldown is reduced by 15 seconds. Prototype Electro Surge: Electro Dart has a 10 second shorter cooldown. Hitman: Quell has a 2 second shorter cooldown. Automated Suit: Kolto Overload works as a stun-breaker in PvP and against certain trash mobs. Efficient Suit: Shoulder Cannon + Grapple now have 10m more range, and Electro Dart + Carbonize are now free. With that ridiculous amount of information covered, its time to look at the actual disciplines. SURGE AND ALACRITY: The only thing you must know here is that Surge should not be lower than Alacrity until about 300 surge, unless you are using the alacrity heavy gearing option. Surge + Alacrity are almost equal in 3.0, though those with higher input latency should put more emphasis on Surge rating. Depending on your surge rating, you want different levels of Crit Rating. 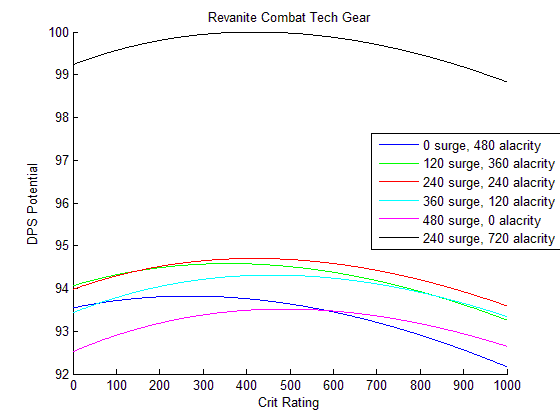 CRIT RATING: Depending on gear levels, you want different amounts of crit rating. Same with how much Surge you are running. This assumes a 50/50 split of surge to alacrity, favouring surge. 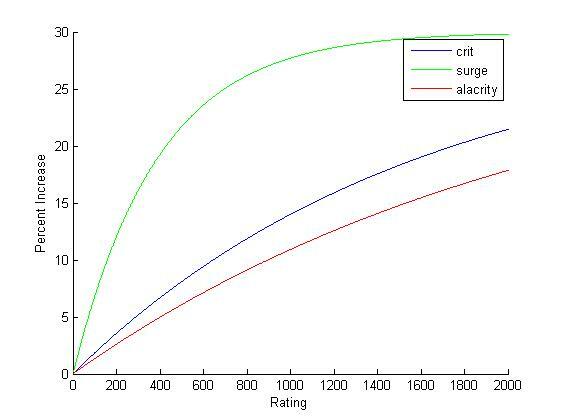 If you are not using a 50/50 split of surge to alacrity, use the following graphs for a good idea of how much crit you want. The values represented by the different colours are the surge, so alacrity would be what is left afterwards. These also assume Power augments, so if you are using Aim ones you would drop crit by about 60. “What about the black line?” The black line is explained below, in the “Kwerty’s Crazy Gearing Method” section. Finally, you want to be using the 6-piece Combat Tech’s set bonus, and be running in High Energy Gas Cylinder. The 6-piece combat tech set bonus gives a huge number of benefits such as auto-crits and resource management, while High Energy Gas Cylinder boosts all Kinetic and Energy Damage by 5% and enables all of your procs. Originally, I had believed that alacrity should not really go above 240 right now, as preliminary testing found it wasn’t getting a DPS improvement. However, with 3.0.2 a lot of the input lag is gone, and with it Alacrity is significantly better. I started investigating this because of reports from Watchman Sentinels of all people, who found that they were getting comparable DPS numbers with full alacrity augments to what they were getting with full Power or Full Might augments. And with that, I modified my stat optimization code to give out optimal stats assuming any augments and any combination of Accuracy/Alacrity/Surge enhancements. The end result? A method that minimizes the required token drops while pulling superior numbers on a dummy and in a raid. The DPS bonus given by alacrity is slightly lower on average per point than Surge for current gear levels, though due to diminishing returns you still want alacrity. If you are PvPing you need just over 305 accuracy if you don’t plan on missing rail shot, but after that, you should stop getting surge at about 300 rating and dump the rest into Alacrity. Due to a 30% surge boost to pretty much everything, crit is very useful for the spec. Choice of relics should be the Serendipitous Assault and Focused Retribution, though the Boundless Ages relic can be used for when you need burst damage in specific situations, such as the Nightmare Raptus DPS challenge in the Dread Palace operation. You can craft a rating 186 relic if you have an artificer with an RE’d schematic from a vendor, so you have no excuse for not having one. Get the set bonus as quick as possible. The 2-piece is a 1% DPS boost, the 4-piece makes resource management very nice, and the 6-piece is about a 1.7% DPS boost. 192 Set Bonus armoring is better than 198 non-set bonus armoring. The Old set bonus should be replaced when possible, but even a rating 146 set bonus will be better than no set bonus. For Mods, make sure to get mods without a letter in the name – E.g. Advanced Agile Mod 36 instead of Advanced Agile Mod 36A, as these are much better. However, if you are jumping up a tier (e.g. 192 to 198), the A-mod is comparable in stat contribution to the previous tier unlettered mod. For Enhancements you also want the low endurance version, only the difference is far larger – A crafted rating 186 enhancement is better than one from the Ultimate Comms vendor. Prototype Particle Accelerator – Using Rocket Punch, Magnetic Blast, Flame Sweep or Explosive Dart will activate Prototype Particle Accelerator, making your next Rail Shot free and finishing its cooldown. This can only happen every 6 seconds. Energy Lodes – Whenever you use Rail Shot, You gain an Energy Lode. Your level 57 ability (Energy Burst) will do damage directly proportional to the number of Energy Lodes you currently have, and they will stop building up at 4 lodes. You can preload these with your recharge ability before a fight, but they will be consumed on use. You can also build them up by using Rail Shot during an immunity phase of a fight, as Rail Shot does not have to do damage to build it up. Retractable Blade – This bleed effect is refreshed any time Explosive Dart or Rail Shot does damage, however it can still fall off due to enforced downtime, damage immunity, or a target swap. As such, you should always make sure it is on the target before attacking it. Proper tracking of these 3 procs, as well as resource management, is the difference between a great parse, and an average one. Sundered – Using Rocket Punch will sunder the target, reducing its armor by 20% for 45 seconds. Susceptible – Thermal Detonator makes the target susceptible, increasing damage it takes from tech attacks by 5% for 45 seconds. Magnetic Blast (MB): Does decent energy damage, and if the lockout is finished will activate Prototype Particle Accelerator. This is your ideal filler as it does not have a cooldown. It also activates your 2-piece and 6-piece set bonuses – the 2-piece increasing damage by 2% for 15 seconds (30 second lockout), and the 6-piece causing your next Energy Burst to automatically crit (60 second lockout). Generates 15 heat and has a 10 meter range, which can be expanded to 15 meters with the utility Muzzle Augs. Rocket Punch (RP): Does slightly more energy damage than Magnetic Blast, but also provides an armor debuff and has a natural 5% crit boost. It should be used on cooldown. Generates 15 heat, or 13 heat with the 4-piece set bonus, and is restricted to melee range. Thermal Detonator (TD): Does slightly more damage than Rail Shot and has a natural 5% crit boost, though without armor penetration it ends up doing slightly less against most players and against bosses. It has a 30 meter range and generates 15 heat, and a 15 second cooldown. This also provides a tech damage debuff, making it very nice because of 70% of your damage being tech based. Energy Burst (EB): Does a very large amount of damage when used at 4 energy lodes, and due to the 6-piece set bonus will crit about 40% of the time automatically. This ability can be delayed due to a lack of cooldown, though it should take priority over Rail Shot, and any Magnetic Blast that will not activate Prototype Particle Accelerator. It should be used about every 24 seconds, and will generate 20 heat. The Rotation is a priority system of all your different abilities. While I can’t give you the complete rotation (its over 300 ability activations long! ), I can give you an opener and a priority list after that opener to work with. Another thing to note is this changes if you move from single target to AoE, and the AoE rotation is under the normal one. 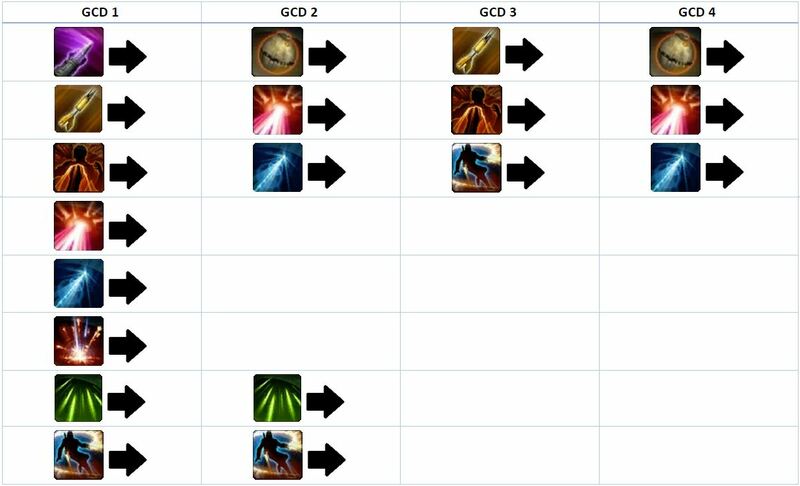 The priority list consists of 4 GCD Blocks, with choices made in each block depending on what cooldowns are available, and how much heat you have built up, as well as if you have resource cooldowns available. Thermal Sensor Overrides should be used on Death from Above, while Vent Heat should be used at about 70 heat. Try to time your heat so you have about 40 heat when the free Energy Burst is used. Due to how the opener was organised, Rocket Punch will only fall into Filler 1 and the Proc Filler, while Thermal Detonator will only ever fall into Filler 2 or Filler 3. How do I use this priority list? Well, I put this section in as a few people got confused. Its relatively simple. Look at your abilities available and your heat level as you enter each cooldown. Then, go down the list, and pick the highest ability available to you. and then it moves onto the next set of GCDs, where you would start with Rail Shot in GCD1 and work from there. Following this priority list should end up with everything on cooldown, with no wasted procs either. The difference between a good powertech and a bad one, is when you can recognise when you need to burn your heat and when you need to go without losing it. Of course, use Explosive Fuel on cooldown, and make sure to fire off all 7 Shoulder Cannon missiles inside it in order to maximise your damage capabilities. Explosive Dart (ED) Does decent kinetic damage to 8 targets. This damage does not get a surge boost, and is slightly weaker than Magnetic Blast before crits, but the fact it is hitting multiple targets completely makes up for this. If it hits a bleeding target, that target will have the bleeds duration refreshed back to the full 15 seconds and cause it to tick immediately. This will not spread the bleed effect, only refresh it. Flame Sweep (FS) If you are in an AoE fight and are using Flame Sweep, you will want to have Engulfing Flames for the 25% extra damage. Without it, you need 3 targets to justify using Flame Sweep over Magnetic Blast. This should all but completely replace Magnetic Blast in your rotation for AoE situations. 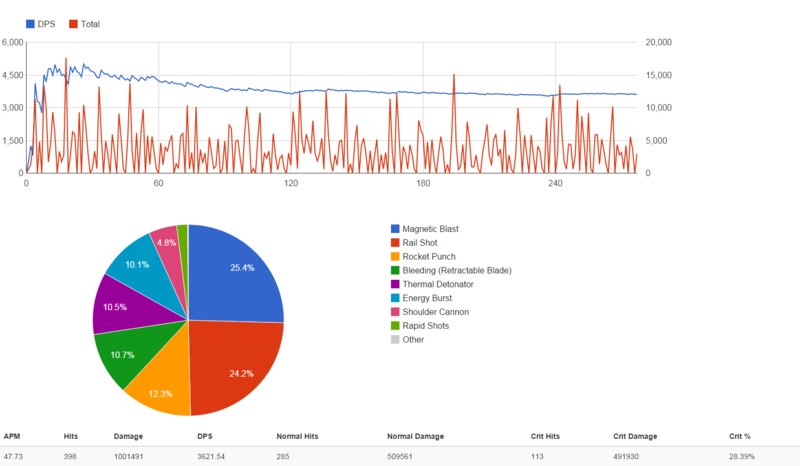 The priority list consists of 4 GCD Blocks, with choices made in each block depending on what cooldowns are available, and how much heat you have built, as well as if you have energy cooldowns available. Thermal Sensor Overrides should be used on Death from Above, while Vent Heat should be used at about 70 heat. Try to time your heat so you have about 40 heat when the free Death from Above is used. Due to how the opener was organised, Rocket Punch and Explosive Dart will only fall into Filler 1 and the Proc Filler and never interfere with each other, while Thermal Detonator will only ever fall into Filler 2 or Filler 3. So as you can see, its almost the same – though with Explosive Dart added into the priority list, and Magnetic Blast replaced with Flame Sweep (sure you miss out on the 2-piece and 6-piece benefits, but skilled players can still use a Magnetic Blast every 30 seconds to keep these advantages). It also mixes in Death from Above when possible, which is very difficult to pull off but is worth it when you can. This section used to be a lot longer, but thanks to Marisi’s great parse analysis tool, Parsely, this section can be cut back on substantially. In order to have maximum DPS, a dummy parse should have Rocket Punch and Thermal Detonator used on cooldown, Rail Shot’s proc every 4 GCDs, and Energy Burst every 4 Rail Shots. To see how close you get to this, upload a log to Parsely and click on the “Ability Usage” tab, which shows how often you use each ability. For example, in the parse below, we can see that I used my abilities more often than their cooldown states! Except… I have like 7% alacrity. So I lost quite a bit of damage in the end. Overall, I lost quite a bit of DPS just cause I couldn’t keep my APM up to as high as I would have liked. That, and I zoned out when doing the parse and missed the fact that my recharge abilities had come back. As for Rapid Shots usage, you want to try to delay the first Rapid Shots as long as possible. I typically don’t need it till ~60-70 seconds into the fight, in which case I’ll only need to use it 5-7 times before the resource cooldowns are back and I can do another minute long resource burn. Ideally, you’ll want 60 seconds with no Rapid Shots uses, followed by 40 seconds of which 5 Rapid Shots are used in, before the cycle repeats itself. Here’s an example parse of a 1 mill dummy being killed by my powertech. The gear was surprisingly bad, but thats to be expected from 58% surge a ton of missing augments, as well as a 186 mainhand. For a more reasonable expectation of the actual capabilities, look at the parse on the Vanguard guide in the Tactics section. This is what I hit in the video above. Rail Shot is used 25% of the time, and not surprisingly will do about 25% of all the damage. Note it appears slightly less here because the mainhand is only rating 186 compared to the 198 rating offhand, so the weapon damage attacks are going to do less damage while everything else will appear to do more damage. After that comes Magnetic Blast, which is used far more often, at about 35% of the time, though it only does ~23% of the damage – its strength is coming from it proccing Prototype Particle Accelerator and not having to worry about a cooldown (as well as activating the set bonus). It did better than rail shot in this example because of its very good crit rate. The 5th place position is usually a tie between Retractable Blade’s bleed effect and Energy Burst, at about 10% each. Retractable Blade’s bleed gets its damage because its ticking more than every 3 seconds, while Energy Burst just hits for such a ridiculous amount it doesn’t matter you aren’t using it more than once every 24 seconds. Energy Burst should also have an unnaturally high crit rate – 40% minimum – due to the set bonus. Finally, you have shoulder cannon doing about 5% of your damage, and Rapid Shots doing the rest of your damage. Retractable Blade’s initial hit will do either ~1.5k damage or ~3k damage, and should only be used once anyway so the longer the fight goes on, the less you are going to notice it. Rail Shot no longer needs a bleed or burn! This is especially important to note, as it means you can use it on anything regardless of distance. Of course, you don’t get the heat vent without the bleed, so its not all perfect. A Block of RpS x2 -> MB -> RS will vent up to 20 heat, so keep that in mind if you are going to do a resource dump. Explosive Dart can be used in a single target rotation – if you get stuck on the other side of the room at least. Its ability to proc Prototype Particle Accelerator is incredibly useful. If you want to really pull everything out of the parse, open up by using Flame Sweep to proc PPA before you start the fight – This makes the first Rail Shot free, and by extension gives you 15 more heat to work with in your opener. Its not much, but it is something. SONIC Missile SHOULD BE USED TO REDUCE RAID DAMAGE. In other words, once you have sorted out the aggro issues, you can use the sonic rebounder to help mitigate some raid-wide damage, such as using it to reflect the damage from the Devastation Cast on The Underlurker. Finally, you want to be using the 6-piece Combat Tech’s set bonus, and be running in Combustible Gas Cylinder. The 6-piece combat tech set bonus gives a huge number of benefits such as auto-crits and resource management, while Combustible Gas Cylinder boosts your elemental crit rate by 3% and enables all of your procs, as well as providing a burn to most of your damage. This burn ticks on application too. Despite the large number of auto-crits, having a surge boost on some of your biggest abilities makes crit somewhat useful for the spec. Get the set bonus as quick as possible. The 2-piece is a 1% DPS boost, the 4-piece makes resource management very nice, and the 6-piece is about a 1% DPS boost as well. 192 Set Bonus armorings are better than 198 non-set bonus armoring. The Old set bonus should be replaced when possible, but even a rating 162 set bonus will be better than no set bonus. Superheated Flamethrower – Using Flame Burst, Immolate or Flame Sweep with Combustible Gas Cylinder active builds up stacks of Superheated Flamethrower, which make your next Flamethrower deal 25% more damage and slow the target by 45%. This stacks up to 2 times, for a total 50% damage boost and 90% slow. When buffed by Superheated Flamethrower, Flamethrower can not be interrupted without a knockback or stun. Charged Gauntlets – Using Flaming Fist with Combustible Gas Cylinder active causes your next Rail Shot to automatically crit. Flame Barrage – Using Immolate make your next Flame Burst or Flame Sweep free. Scorch – 30 second duration, and does slightly more damage per tick than Missile. If the target dies to this, it automatically applies itself to another target. You can see this in action by pulling a group of very low level mobs and throwing Scorch at one of them, and watch them all die. If you have any of these burns on a target, then Flamethrower will do 10% more damage. Proper tracking of these 3 procs, as well as DoTs and resource management, is the difference between a great parse, and an average one. Overwhelmed – Using Flamethrower will overwhelm the target, increasing the damage it takes from AoE sources by 10% for 45 seconds. Susceptible – Scorch makes the target succeptible, increasing damage it takes from tech attacks by 5% for 45 seconds. Flamethrower (FT): Does very high elemental damage over 3 seconds, and slows the target down. It will also overwhelm the target, making it take 10% more damage from AoE attacks, and thanks to Rain of Fire it will spread incendiary missile to all hit targets so long as one of them has Incendiary Missile. Due to dealing elemental damage, its damage is boosted by 10% on a target below 30% health. 15 second cooldown, and generates 7 heat per tick of damage. Flame Burst (FB): Does average elemental damage, its true strength comes from it being free with Flame Barrage, automatically activating Combustible Gas Cylinder, and building a stack of Superheated Flamethrower, while also getting a 10% damage boost on targets below 30% health. When not free, it generates 15 heat, and the ability has a 10 meter range, which can be expanded to 15 meters with the utility Bracer Propellant. Incendiary Missile (IMS): Nice and easy DoT to track, use it every 9th attack if using Flamethrower, or every 10th if not. This ability has a 30m range as well so you can use it as you are closing in on the target. Generates 15 heat. When multi-dotting, don’t bother with this one on more than 1 target as Flamethrower can ensure this hits everything you need it on. Scorch (SCH): Does a very large amount of elemental damage, only it takes 30 seconds to pull it off. Should the target die with this, it is automatically casted again on a new target for free (doesn’t even need a GCD), so long as the new target is close enough to the dead one. This makes the target take 5% more damage from tech attacks, with the debuff lasting 30 seconds, and because its elemental damage it is 10% stronger on a target below 30% health. It also has a 30% surge boost to make its crits hit a little harder. Generates 10 heat and has a 10m range. Immolate (IML): Does a big chunk of elemental damage (about as much as IR does over its duration), while making your next Flame Burst or Flame Sweep free, and it also builds a stack of Superheated Flamethrower. It also deals 10% more damage to a target below 30% health. It only costs 12 heat as well, which is nice. Due to the 6-piece set bonus, 1 in 4 of these should be dealing an automatic critical hit, and its 30% surge boost only sweetens the deal. Finally, it has a 10m range, and a cooldown of 15 seconds, lining up nicely with the rest of the spec. Rapid Shots (RpS): While this ability is used quite often, this is for good reason. Similar to how IO Mercsneed to constantly use Rapid Shots twice a cycle when resource cooldowns are not available, so does Pyrotech. And like Innovative Ordinance, this has a 35% chance to activate combustible gas cylinder on the target, and has a 30m range. One other thing about Pyrotech hammer shots is that it deals 5% more damage to a burning target. Unlike Advanced Prototype, where the rotation is a priority system of all your different abilities. Pyrotech has a rather static rotation. What makes it difficult is trying to squeeze in extra Flame Bursts, and hitting as much stuff as possible with Flamethrower. The rotation isn’t that different from the opener, though it is different in a couple of different situations. So, what the hell is FILLER? Filler is very easy. Every minute, you will gain the 6-piece combat tech’s buff from using Flame Burst. If this is to happen, then the first and third cases of FILLER are to be replaced with Flame Burst. This way, you can get the extra damage from the Flame Bursts under the 2-piece buff, maximizing their contribution. Whats more, is if you are using Vent Heat on that specific cycle, then the second FILLER would be used as Flame Burst. In all other cases, you should use Rapid Shots in the FILLER slot. Finally, a video to show how to do it. Note that this was done in legacy gear, though the mainhand, relics, earpiece + implants are all crafted 186 gear with no augments (instead of legacy stuff). Flame Sweep (ES): If you are in an AoE fight and are using Flame Sweep, you will want to have Engulfing Flames for the 25% extra damage. This should all but completely replace Flame Burst in your rotation for AoE situations. Note that the AoE rotation is significantly different, as we are now prioritising the 3-stack Flamethrower instead of the 10 second Flaming Fists. Filler is very easy. Every minute, you will gain the 6-piece combat tech’s buff from using Flame Burst. If this is to happen, then the first case of FILLER is to be replaced with Flame Burst, with the third being replaced with Flame Sweep. This way, you can get the extra damage from the Flame Sweeps under the 2-piece buff, maximizing their contribution. Whats more, is if you are using Vent Heat on that specific cycle, then the second FILLER would be used as Flame Sweep. In all other cases, you should use Rapid Shots in the FILLER slot. “So why is Flamethrower delayed a third GCD in both cases?” Its simple. This slightly altered rotation will not only allow for slightly earlier burst compared to the one I was using earlier (as the offensive cooldowns start in GCD 3 instead of GCD 5), but also allows for more APM – If you are skilled enough. By putting a 15 second CD ability after Flamethrower, if you can keep your abilities used as the GCD comes off, you can mash the Rail Shot button while Flamethrower is channeling, and not lose any damage. BE CAREFUL NOT TO CLIP YOUR FLAMETHROWER THOUGH. Hilariously, if you have the utility Efficient Suit, Carbonize can also be used as an AoE filler (over Rapid Shots) due to its minor elemental damage it deals, but you would need about 4+ targets to justify doing this (unless, of course, they are prone to CC), but doing so requires giving up awesome heroic utilities such as Liquid Cooling or Overdrive. In order to have maximum DPS, a dummy parse should have Rail Shot, Immolate and Flamethrower used on cooldown, Incendiary Missile every 15 seconds, Scorch every 30 seconds, and an average cooldown on Flaming Fist of 10 seconds. Flame Burst should also be used every ~9.3 seconds on average (though most of the time it should have a 15 second delay between uses). For example, in the parse below, we can see that I used my abilities more often than their cooldown states! Except… I have like 7.2% alacrity. So I lost quite a bit of damage in the end. So here’s an example of the 1 mill dummy being killed by my powertech. Due to the lack of a decent mainhand, relics, implants, earpiece, no stims, no datacrons, and no adrenals, I lost at least 1k DPS on the parse. (the importance of having proper up-to-date gear!). 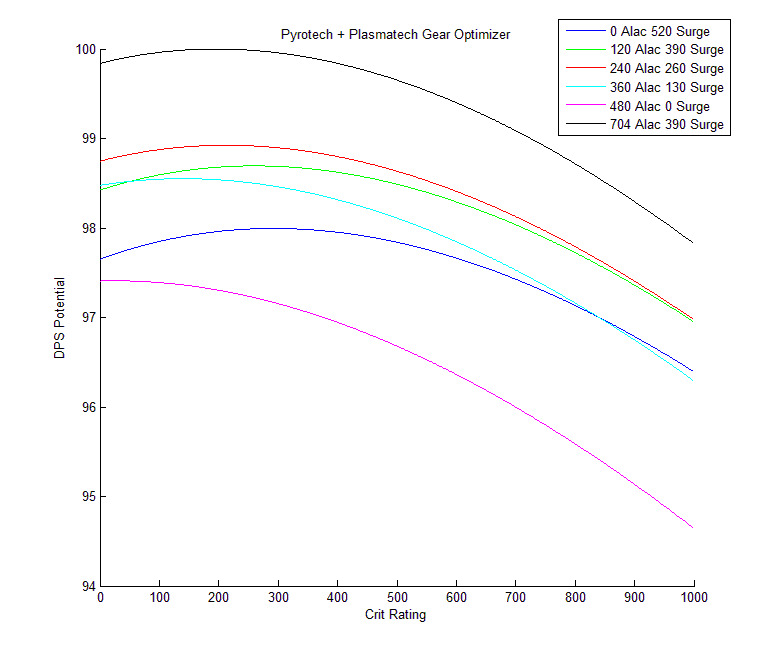 A more reasonable estimation of your actual capabilities can be found on my vanguard guide in the plasmatech section. Your most damaging ability is Flamethrower, which does about 19% of your damage. Third place is a tie between everything except Combustible Gas Cylinder, Rapid Shots and Shoulder cannon, with all of them doing about 10% of your damage. Finally, Combustible Gas Cylinder does about 9% of your damage, and Rapid Shots and Shoulder Cannon make up what is left. You can juggle most of the abilities around in the rotation – I just have it setup like that as it was the first way I got everything important on cooldown, and it set in like muscle memory. SONIC ROUND SHOULD BE USED TO REDUCE RAID DAMAGE. In other words, once you have sorted out the aggro issues, you can use the sonic rebounder to help mitigate some raid-wide damage, such as during The Underlurker’s Devastation Cast. Remember if you are going to hit multiple targets with Flamethrower, use Incendiary Missile first so that everything gets the Incendiary Missile burn on it. Don’t hesitate to use Death from Above either – while I didn’t mention it in the list of abilities, Death from Above can be used over a pair of Flame Sweeps thanks to Rain of Fire. Don’t get greedy with Flame Burst or Flame Sweep uses! If you don’t have resource cooldowns available, then your resources can and will quickly spiral downwards into a state where you have to stop and spam hammer shots to recover. For those who don’t know me, I’m a friendly guy living in Australia, where I comfortably play the game with >180 ping (I laugh every time I see someone complaining about the game being unplayable @ 100 ping). I picked up this game a few years ago, where I leveled a sentinel through the storyline, than left it, thinking “Yeah that was good”, only to come back a year later cause a friend wanted to try it out. One thing led to another and though a number of things, like being moved to the Harbinger and barely touching my sentinel anymore, I picked up a Vanguard, and loved it ever since. I mean sure, I primarily tanked content up until patch 2.6, but when the Hybrid VG DPS spec was removed in that patch, I took it upon myself to figure out how to get the best damage out of Assault spec. It wasn’t long till I had figured most of it out, and made a guide to help keep track of things, and before I knew it there was a 15 page thread with 2 spinoffs – one for tactics, and one with pictures – and everyone was looking up to me cause I was getting them results. And now, with the complete rework of everything with patch 3.0 including removing Assault because it was so OP (I kid of course) we ended up with what we have now. If you want PvP advice, know that I have admitted on multiple occasions to sucking at PvP. For PvE though, I’m part of the main progression team of the guild Excession, a great group of people who brought me in as a DPS about a week before the huge buffs were announced for me, and since then have thoroughly enjoyed the game. If you see anyone on The Harbinger with a keyboard-themed name, its probably me (whether its named after a keyboard or just a bunch of letters on the keyboard in a row) and if im not doing anything, I’ll happily help you out. Due to how the opener was organised, Rocket Punch will only fall into Filler 1 and the Proc Filler, while “Assault Plastique” will only ever fall into Filler 2 or Filler 3. Just the guide I’ve been waiting for since rolling a Powertech a couple weeks ago. Thanks for all the hard work and information. It’s much appreciated. I still don’t agree with the Power > Aim. Using 13 Power Augs vs. 13 Aim Augs the difference is around 15 Bonus Damage vs. 1.5% crit (not subject to DR, I didn’t go into that much detail in my math). With the 30% Surge boost (In AP) for every single one of your main rotational abilities, why would you not take the crit? The bonus damage increase, in my current gear, is around 0.002% whereas the crit worked out to be around 0.015% or so, almost 8 times. The logic doesn’t make sense, and you’re contradicting yourself when you say to use x amount of Crit Rating due to the 30% Surge Boost, but NOT use Mainstat Augments to gain extra crit. If classes in 2.0 still used MainStat augs with no % boost in their tree, why does that change in 3.0? It shouldn’t. The curves have changed, yes, but no exponentionally, majority of the math is still the same. Originally I had the maths working with Aim augments when someone pointed out a bunch of auto-crits and crit-boosts in the tree, and said “how would power augments work”, so I modified the maths to use power augs instead of aim ones, and it was a DPS increase. I went over it about 20 times because I told myself the same thing you’re telling yourself. “THERE IS NO WAY THAT COULD BE RIGHT”. Honestly, I want it to be mainstat. But it is unlikely to be the case until we’re running an average surge of >100% (currently average surge is ~95% for AP and ~80% Pyro) and having over 2k bonus damage. 1 Nimble mod at 192 gives +82 crit rating which is near the same amount as 10 mainstat augs. Even though crit rating is subject to diminishing returns, it still will contribute way more to crit chance than aim will. 13 power augs give +20.28 more bonus damage than 13 aim augs. Not only that, but in the actual attack calculation, the bonus damage is multiplied by yet another coefficient, adding even more value. So the difference between augs(20.28) is even larger at the actual point of attack. Yes that is true, but we aren’t talking about Crit v. Power, we’re talking about Crit v. MainStat. I had a mate do some math, and he worked out that to make up the difference in the loss of Crit from stacking Power augments, you would need 88 points of Secondary Stat (Crit). To make up for the Bonus Damage you lose from stacking MainStat augments, you would only need ~77 points pf Secondary Stat (Power). Therefore wouldn’t this mean that using MainStat augments would provide a better overall stat distribution? He also calculated those values without using the 5% Sorc Boost to MainStat, so the difference would be even greater. I think the better question is, at what rating does crit start being affected by DR to warrant stacking power. If there is a value for that, and the value is <400 (Assuming 13 Power Augments not MainStat), then I believe Power Augs would be the better option because you can easily stack 400 Crit into gear. You would also have to take into account the Crit % you get from full BiS 198's (also assuming 13 Power Augs). I did some math of my own, I 100% agree with the 300 Surge Rating cap for DR, it starts to kick in really bad, so Alacrity seems a good option. Yep, if you’re in full 192’s (don’t know the 198 gear by heart yet) you would gain 1.41% critical chance from reflex augments. Which can be made up with 77 critical rating, under the assumption of having zero critical rating. However, if you are running with say 300 crit, you would need 99 more critical rating to make up 1.41% critical chance. The second question though, 300 critical rating (ear/2 mods)will give you just over 5% bonus to critical chance, and 500 critical rating will give you just over 8% critical chance. However, the trade off would be 69-115 bonus damage and 51-85 bonus healing, over a gear set with 0 critical rating, but why have 0 critical rating anyways? So as a dps you would lose more bonus damage by stacking higher values of critical rating. As far as a point of stopping. I main a merc healer, so I sit around 400 crit since merc healers receive tons of critical healing bonus from skills. Given that PTs now have extra 30% surge, it would be wise to stack around 300-400 critical so as to get the most out of that ability. So you’re saying that MainStat augments are better. If using Power Augments then you lose the 1.41%. If you’re running >300 Crit Rating you’ll start going into DR which means you need more and more points in Crit Rating to make up for that 1.41% loss of Crit. 99 Points you said. However using MainStat Augments, you would only need around 88 Power to make up for the loss of Bonus Damage. TL;DR, you just agreed with me that MainStat > Power Augments. That being said, I’d like to see comparison of things like MainStat v. Surge Augments and MainStat v. Alacrity Augments. Oh that is so odd, so no spamming flame burst, and now flame thrower is in the rotation?. Maybe I missed it, but why alacrity?. With patch 3.0, Alacrity instead of only increasing resource generation and decreasing the global cooldown, it also reduces normal cooldowns and reduces proc lockouts. In other words, 1% alacrity = 1% more DPS. Ah ok, well thanks for the info. So does that mean AP now is what pyro was before 3.0?. The only difference some former Pyrotech perks like 10% more dmg below 30% hp is now on the new Pyrotech spec (former AP). That sounds stupid, swap them around, good grief charlie brown. As per usual, a brilliant easily understood guide. Thanks for taking the time to compile it. Still planning on releasing guides for the other AC’s? And any ETA on that? Wonderful, thank you. Looking forward to it. Question: does sonic rebounder eliminate the threat drop from sonic missile?? Currently I am using liquid cooling as my threat drop (works fine) just under the impression rebounder overrides the threat drop. If it retains the drop than I can get rid of liquid cooling and it frees up a heroic utility spot for me. These guides are brilliant. Thanks for your time and effort! So basically Pyro is the old AP with 1 aditional DoT and current AP is the old Pyro with a shinny new cilinder. But how is the single target dps on raids for the 2 specs, wich is better now ? I played a lot of pyro in the 2.x and just checking 3.0 i’d say pyro still comes ahead, its not bursty as AP but it has some similarities with Anni maras, it starts a bit slow but then at the end it’s the most dps. Just wondering, will we ever get PVP guides? PT tanking really hasn’t changed at all, except using Firestorm instead of Flamethrower when it procs. I haven’t seen it mentioned much, but I noticed yesterday that Death From Above no longer has a minimum distance to activate it; you can fire it point blank on top of you now. Good for extra tanking AOE. Thanks, just wanted know how to optimise my disciplines with the utilities and defense cooldowns. There aren’t any really terrible choices, just some are better than others depending on the content you’re running. Much appreciated, thanks for the help. Advanced Prototype is a far better 1v1 spec than Pyrotech. I can get 17-18K on my first Energy Burst with a 55 power adrenal, and 13K regularly. Pyrotech is a GROUP oriented spec, NOT a solo as it will be taken down by any decent AP player very fast. AP honestly should be a 10 in 1v1’s, if you grade it any lower you don’t know the spec or how to procc the most damage out of it. The fact that Pyrotech has a AOE flamethrower, AND Scorch(if a target dies while affected it will jump to the next target.) is enough to prove it is a group oriented spec(AOE). However, nice guide. The ratings are in sustained DPS. However, you will notice AP got a 10 for burst, and that is what you should look at for 1v1s against other players. Yes, I do apologize. After simply glancing at it I didn’t notice that. Very, very nice guide . Please, keep up the good work. You really used a 500k dummy parse? The difference between 500k and 1000k are big for min-maxers. While it is true that a 1 mill dummy parse is more accurate for the long run, this is simply because a longer parse has less crit variance, and the initial burst has a smaller effect on the parse. (e.g. if a parse went 15 seconds long, nothing would stand up to AP as a spec). However, due to not using the second set of offensive cooldowns (which were available to me at the time), the DPS numbers were about what you would expect from any parse length. It would actually end up lower, because in a full length parse I wouldn’t deliberately leave moves out! For the videos, the 500k dummy was used because the gear used was terrible. Kwerty, there’s a number of Hammer Shot references in the Pyrotech section of the guide. Just a heads up. Thanks, I tend to accidentally mix those 2 up all the time. Fixing now. As a, alas, filthy casual, my first reaction was that if four parallel decision trees was a 5/10 difficulty, I can’t imagine 10/10. Get that into your system. Eventually, you’ll be used to the Mag Burst every 4th GCD, which is the proc system you need. Rocket Punch -> TD -> Mag Burst -> Rail Shot. This is where it gets tricky, cause you have to start delaying every second rail shot in order to fit in Thermal Detonator on cooldown. Still, only use Mag Burst for the proc cooldown for now while you get the rotation with the delayed rail shot into your muscle memory. Step 4 is Energy Burst on 4 stacks of energy lodes. Delay it for Rocket Punch, TD and the Proc Cooldown, and delay rail shot for it. Well, asides from the rail shot in the opener. Once you have that down, the only thing left is taking advantage of your ammo, and mixing in Unload with Reserve Powercell, and thats where the difficulty comes in. 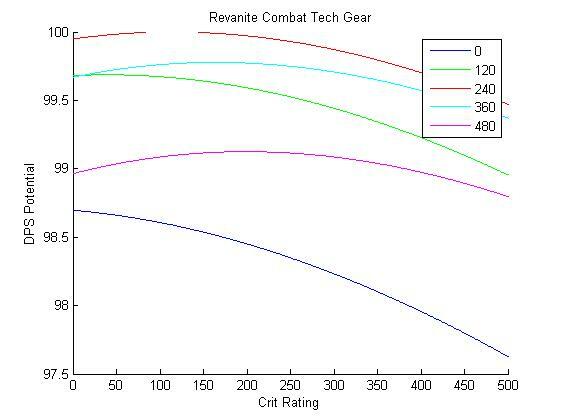 Well the devs have confirmed that accuracy rating isn’t changing, so i’ll be updating those graphs so they account for the real armor rating (instead of the slightly off old value of it). Gearing shouldn’t change much though. 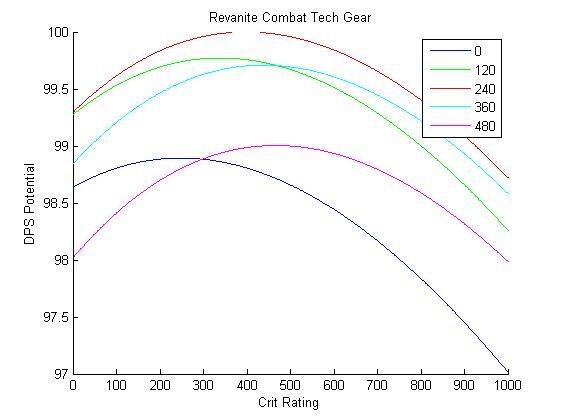 While modifying the stat optimization code to account for the newly discovered armor rating, I discovered a glaring flaw in my crit rating formula! And thirdly (and most prominently), I forgot to adjust the crit rating formula from Crit Rating as a stat to the level 60 version, making it ~11% stronger than it should be. I’ve fixed it up and it came to the conclusion that Mainstat augments are as good as Crit/Power augments, however due to all the crit found on commendations gear I’m still recommending Power augments as that way you do not need to ditch as much crit rating. About those crit caps, if i’d like to play advance prototype and pyrotech with only one stuff, what kind of crit caps should i go for? Great work. love this guide. Nah that looks perfectly fine. The parses there were pretty below average for the gear used, but it was optimized 192s with a 6-piece set bonus. Enhancements x7 – Either Quick Savant (Alacrity), Initiative (Accuracy) or Adept (Surge) enhancements. The rating 186 versions of these (modname 36) are far cheaper right now than the 192s if people are even bothering to sell the 192s yet, and they’ll even outdo the Ultimate Comms gear. Also get a pair of relics from a crafter. Especially if you are the crafter. Finally, if you’re going AP, use some of those basics you have lying around to get a Classic Comms set bonus (I’m less likely to endorse it for Pyro though) – as its about a 2% dps increase when its coming from no set bonus, and the loss of mainstat by dropping down to 146s will never be a 2% dps drop. At least, do this till you get the new 4-piece bonus. Augments boost power by a further 50% after that as well. I’m currently sticking with pyrotech, since its what I know. Your saying I should stack Power augment instead of Mainstat ones!? Definately go with Power augs. Not only will it be easier to optimize (going with power means you’ll want a little more crit, and the vendor gear is stuffed full of crit rating), but with Pyro you don’t really need crit rating at all due to all the auto-crits in the spec (Rail Shot, Immolate with Set Bonus) and only a few surge boosts. Just a bit explanation for the old-timer here 🙂 Thanks in advanced. In patch 1.2 (i believe it was), they implemented the legacy system. One of the benefits of that system was if you finished the companion storyline of a specific companion type, it would give a 1-time boost to one of your stats. These bonus’s are server specific, and dont stack with other companions (so, if for example you have a sorc with a max affection Khem Val, you will have the +1% accuracy bonus already and dont have to bother with Skadge). The easy way to see it is if you have 91% accuracy without any gear on, thats someone with the companion bonus for accuracy. Surge would be 51% without any gear, and crit chance is the “crit Skill bonus” is 1% when you’ve removed spec, stance, and any buffs on yourself. HP and endurance need the slightly longer method of looking in the legacy screen to see if you have any companion faces lit up. There is no chance of changing this, if say i have +1% surge? I quit the game around 5 month after launch, i think my first companion was the tank Kylo on my agent. But i, not sure. Not even sure if 1.2 was implanted when i quit. I started 1-2 month ago again .. There it was Mako i got to finish first… Not sure what i have then .. or if it can be cahnged. These buffs are active when companion is not there? if it goes back in time and take the very first companion i finished it is the tank, but not sure how it works? Yeah its usually max affection with them, and have finished act 3. Then, if there are no more options to talk with them, you’ll have finished. First of, thanks for your answer, really detailed – appreciate it! When i go to my legacy i can see the picture of all my companions for my agent and for two on my BH. does that mean my bonus is 4×20 + 2×20? and my BH is humans so another 100 for having him at levle 60? Another thing i couldn’t find in your guide is skills caps. I assume you get more crist chance from having 0 rating to 100 than from having 900 to 1000 rating. At what point does the cap kick in? So i know when to “not” get more crit rating/ power / surge etc .. When the rating become less efficient. For the first part: Assuming you don’t have any republic toons also at finished storylines, I’d guess you’ll have a 220 boost from companions and having a level 50+ human toon. This would give you approximately 600 presence at level 60, maybe more depending on datacrons. As you can see in the second image, DR hits surge HARD, and so I tend to leave surge alone after about 300 and put it into alacrity. And since we can’t reasonably hit 1100 alacrity just yet, there’s no point in then going further into surge! All i need now is a guide like this for Mercenaries, BH – I figure the idea for a Powertech and a Merc is more or less the same, Especially the “pyro” spec, which i play – that is also why i commented here. Again thank you so much for taking your time to explain all this, after all, there still are helpful MMO-Players out there, started to think it was a thing of the past! Very well done guide, thank you Kwerty and Dulfy! Had a question about AP: when switching to adds, how long do they have to last for retractable blade to be worth using? If you’re gonna hit it with Rail Shot more than once, use RB. Otherwise, may as well just blow it up ASAP. If you don’t have it bleeding and you rail shot multiple times on it, you’re gonna start having resource issues. >SURGE AND ALACRITY: The only thing you must know here is that Surge must not be lower than Alacrity. Surge + Alacrity are almost equal in 3.0, though those with higher latency should put more emphasis on Surge rating. Depending on your surge rating, you want different levels of Crit Rating. >CRIT RATING: Depending on gear levels, you want different amounts of crit rating. Same with how much Surge you are running. This is all idiocy. No, you won’t miss attacks if you don’t have the companion bonus as long as you are getting enough Accuracy elsewhere; 100% is 100%. No, Surge and Alacrity are not “almost equal”. 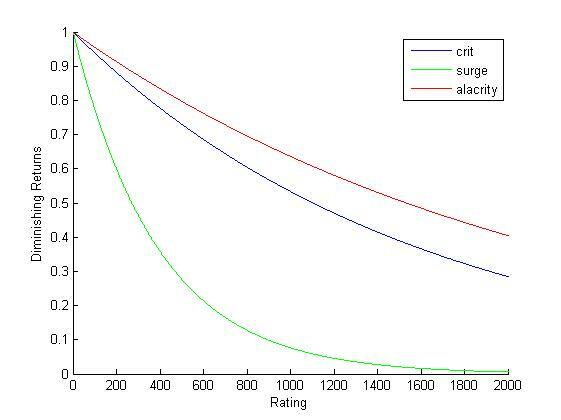 Surge has a SHARP turn in its curve, whereas Alacrity’s curve is nearly linear; as your stat budget increases, you want to add less and less Surge compared to Alacrity. No, you should not stack more Crit based on how much Power you have — it’s technically true that more Power gives better crits, but it gives *proportionally* better crits, which means you want the same amount of Crit at every gear level. Is any moron willing to type allowed to write a guide for your site now? As there is always the one guy who talks smart without backing up facts in order to try to make a guide look crap, I’ll respond to show why you’re wrong. Accuracy -> You can go without the companion bonus, but then you need 862 accuracy – basically your entire budget (well you can have 1.5-2.5 enhancements on something else, but the loss is huge and its so much easier to just max a tank companions conversations). So while its not a ‘must have’, its completely idiotic to go without it. Surge + Alacrity: With gear levels as they are right now, Surge and Alacrity are almost equal, as in you want an equal amount of each. I made a point later on that if you are a PvPer (as in, you will have the budget to get more than 500 surge + alacrity combined) then you should stop getting surge at just over 300 (when the diminishing returns start really hitting surge). Another note is alacrity isn’t as powerful as it appears, as lag, downtime, and other things will result in alacrity drastically being reduced in value in comparison to other stats, hence the 3 surge/1 alacrity being better than 1 surge/3 alacrity, despite the maths stating the opposite (maths doesn’t account for lag or downtime). And for Power + Crit. Lets say you have the option to add a power crystal or a crit crystal to someone. The first case is someone with a level 1 mainhand and nothing else as gear on a level 60. The second case is someone in full revanite gear with no crit in their gear whatsoever as well and 4 surge pieces. The first case, that +41 power is going to give ~3% more damage to them, while the crit crystal is going to give ~0.366% more damage. But in the second case, the crit crystal is now going to give ~0.55% more damage, while the power crystal will only give ~0.47% more damage. This is on a spec with no surge bonus, which would make crit better! So as you can see, more power makes adding an extra point of power not as good, so with higher gear levels, more crit can be taken. Pyrotech  I have the 7 accuracy enhancements and 1 accuracy augment. For my Accuracy stat budget. What level of Alacrity and Surge rating should I be looking to achieve. Do you suggest the rest of the gear be augmented just with Overkill or Mainstat? Just wondering what your current stat budget is. apparently both specs parse 4.4k but ap’s single target dps score is 7 while pyro’s is 9. am i missing something? Yep. As i’ve said a few times in other places, those were just parses to show the spread of damage. I was half tempted to only show the percentages but in the end I put the numbers up as well. Both of those parses were below average for the damage capabilities. You can tell by the atrocious crit rates for pyro and the fact I didn’t abuse a second set of 7 missiles for AP. At the time, I was averaging 4.5k dps in Advanced Prototype/Tactics, and 4.7k dps in Pyrotech/Plasmatech. Kwerty I have 2 questions around your PT guide. 1. Since you play in a +180 ping environment how much Alacrity do you use, playing from SA in dedicated raid team and have a 190+ ping most times so would love some advice. 2. Your DPS ratings are 7 for AP and 9 for Pyro, Looking at some of the other guides now available and the sample parses (Obviously key word sample) do you still feel AP should be 7 vs say a assassin hatred which rates at 8? Another consideration since the AP spec is so mobile and mid range almost to the point of being a hybrid Melee ranged spec do you not feel a higher rating is appropriate? for 2. I definately feel AP is in a 7/10 rating for DPS and Pyro being a 9/10. I saw how each spec was performing and based it off these values for my ratings. I honestly dont like ranking something less than 4/10 unless it really deserves it (e.g. if the Lightning Rotation was nothing but force storm, i’d give it a 1/10 for difficulty. Similarly, a spec hitting 2k would be a 1/10 for dps), but if I did then the specs would have ranked worse off than they did. I would have rated Hatred as a 9/10 though. And all of them are better DPS specs. While AP is a very mobile spec with very good damage capabilities, its not the only one. Thx a lot for the detailed response. I have been doing allot of reading on both PT and Assassin (Have both ready for raiding) and also considering raid utility and the construct of my current team. The PT will be my choice for now (Already have Sorc dps and Sorc Heal so Assassin will only bring dps to table). Just a quick update on my PT experience last night. We cleared both Ravagers and TOS ops as a team and I found the following. 1. I went from 4th in DPS numbers on my Operative to 2nd and 1st in some instances with the same level of gear and augments barrels and off-hands. 3. I mostly used AP as I find Pyro while good simply doesn’t allow that much freedom in movement if you want to maximize dps. I will be working on this to fine tune moving on Pyro to allow better numbers. 4. The 15m range on the PT is quite good as I expected and makes it quite easy to keep dps allot more sustained as a melee dps. All in all I enjoyed the PT game play last night and would recommend this class as a raiding dps. Anyway, I found that if you know the fights better, its easier to use Pyro in them because you know when somethings about to jump away, or when you’re gonna get knocked back, and so on, and use Flamethrower accordingly. Of course, Pyro has issues in HM where a large number of fights need either the AoE damage reduction, less AoEs, or no DoTs (reliability). As without these, you will be at, or worse than, an AP PT in each fight. I haven’t gotten into the HM Revan fight just yet to see how necessary the AoE damage reduction there is, but to my knowledge the people who killed him are using AP PTs and IO Mercs. Oh and be careful on Master Blaster, pulling aggro there is painful. For everyone. thank you so much for the guide, it’s excellent! If you were in a guild that doesn’t raid very often, and it will still be quite a while before we start getting revanite gear, and really wanted to go AP, what stats would you go for with mainly comms gear/some resurrected pieces? I am currently doing between 3.9 and 4.2 in AP and 4.1 – 4.4 in pyro when following your guide, but I am still a bit fuzzy on what my crit, surge and alacrity should be until i get myself geared in ops gear. 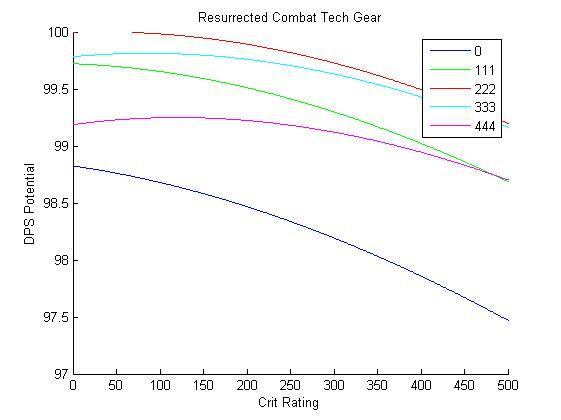 Mainly because Resurrected gear has far better enhancements, mods that are equal, and provides a set bonus. After getting those, get your non-bonus armoring of choice, and then buy a hell of a lot of bracers to get to the crit level you want. Any Power/Surge or Power/Alacrity enhancements should be done as a crafted 186 enhancement, as those are +16 Power/Crit and -18 Surge/Alacrity. Kwerty, happy new year! Thanks for this guide, it is very useful. I was reading this post, and I have a question. I have a Pyro, no well geared, since I reached level 55 just with the expansion, so I will buy the Yavin armor. I was checking the stats rating, and can´t figure out how to split Surge and Alacrity 50/50. With 7 pieces with Accuracy, 2 pieces that only can have Crit or Power (belt and bracers), left only 3 pieces to “play” with it, so what the best? 2 Surge and 1 Alacrity, with 102 of rating each one? Another thing, The rating for Crit is 43 or 86, what is the best (you recommended 0-75 Crit rating, but with 7 pieces with Accuracy, Power is over 600 rating)? Well for one, Yavin gear is incredibly bad. Well the mods are ok, and the armorings are better than nothing, but other than that its terrible. You should be able to get a decent set of enhancements for about 100k each from the GTN, where i’d recommend 4 Initiative Enhancements (Power/Accuracy), 2 Adept Enhancements (Power/Surge) and a Quick Savant Enhancement (Power/Alacrity). For the Earpiece + Implants, get the crafted ones which give Power + Accuracy. Anyway, unlike with AP, you’ll find with Pyro spec that crit isn’t as useful as you’d like it to be until you start getting some decent 198 stuff. Until then, get as much power as you can get away with. Of course, getting a little crit is perfectly fine but if you’re burning through basic comms for mods + Specifically buying implants, earpieces + enhancements, go with Power. Oh and of course, 1 acc augment + 13 power augments. If you want to save a little money, a blue acc augment will still get you over the magic number for 100% accuracy as well (though this wont carry across into the higher gear tiers). Thank you very much! Oh, yes, all the gear that you can buy with basic comms is terrible, as usual in SWTOR. It is very nice to see somebody sharing his knowledge, will follow your indications. Re-energisers is for vanguards, Liquid Cooling is the powertech version. Just pointing it out, spent a while trying to figure out why it wasn’t an available utility because I’m slow and sleepy. You might be in Ion glas cylinder. I have 757 accuracy rating and I have 100% and 109.99%. Either what this guy said, or you are still a fair distance away from the level cap. As you get higher in level, most stats become weaker (accuracy is one of these) – so while at level 50 you might be able to get away with ~400 accuracy for 100%, at level 60 you need 758 for the 100%. Why would you not lead with EB. Seems to me that you want to build energy loads asap so why not Pre-load, TD, RB, EB, RS, RP, RS? Followed by MB hitting on CD RP and TD? Also do you strive to keep TD on CD in a single target, non target swapping situation…lets say dps first TOS boss? Set bonus! Also in raids, you want the armor debuff up when using Energy Burst, as thats a massive boost to its damage. First thing is delaying it for set bonus. Not necessary without the set bonus, but its a good idea to get into practice. Doing so gets it a 2% damage boost (multiplicative) and also an auto-crit. After that is the delay for the Armor Debuff (Rocket Punch). 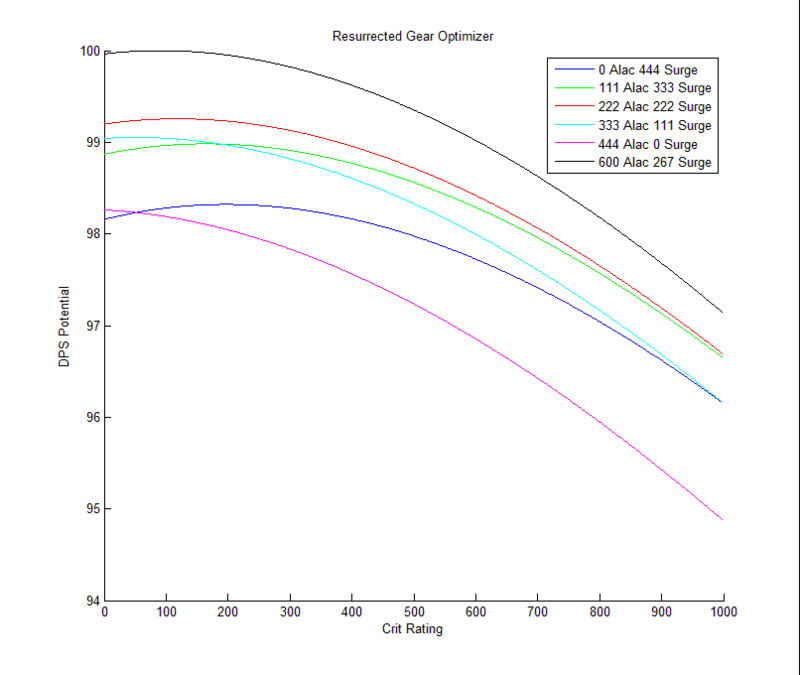 Doing so grants a 7.9% multiplicative increase to the damage dealt by Energy Burst due to reducing the armor penalty. So, by implementing a Rail Shot before the Rocket Punch, we ensure that the Rocket Punch is guaranteed to get the tech damage boost from Thermal Detonator (I find that the further back you are when you throw it, the less likely it will detonate in time for Rocket Punch to get the damage boost). It also means you don’t lose a rail shot due to resetting it when its still available. Amazing guide friend. Hat’s off to you. By following your rotation and your recommendations for gearing optimization, I was able to boost my parses from 3.6k to 4.1k. Turns out I was missing out on some GCDs that you filled with Rapid shots / Flame burst. It baffles me a little that people say the 36 enhancements are better than the 38 commendation ones. Is it simply because (in case of the Initiative ones) they have more power? Regardless, the results speak for themselves. Many thanks. Its definitely because of the extra power. In almost all cases, power/crit > Surge/Alacrity/Accuracy, and the 198 Comm Enhancements are giving 18 more Surge/Accuracy/Alacrity in exchange for losing 16 power/crit from 186s. The tradeoff is even worse for 192s – getting even less power/crit for only 9 surge/accuracy/alacrity. Now I am being a little strange in that i’m using a lot more alacrity than your normal person and having a few accuracy augments, but thats personal preference and because I hate it how I have to buy a boatload of sentinel and scoundrel pieces to get easily accessible Initiative Enhancements, and that I dont even get a power/accuracy implant beyond Dread Masters (now I know how Sorcs/Sages felt in the RotHC expansion). I would say though, if you are desperate for the extra accuracy, 3 198 enhancements + 1 power augment gives more stats than 3 186 initiative enhancements + 1 accuracy augment, so if you need to do that, feel free to do it. Though that is the only time i’d recommend 198 Comm Enhancements over 186 crafted enhancements. the filler slot 2 should have Rail shot if procced from previous block of 4 as top prio as there is no point in proccing it again in block 3, which doesnt have rail shot in it, or rail shot should be top of block 3 if still unused proc from block 1 and 2 – an unusual combination of events i admit but it can roll over to block 2 reasonably regularly and it should be highest prio there? In addition to a few typos and image fixes, I have also decided to add a section on Heavy Alacrity gearing – how to do it, and why would you bother. Its exicting new stuff that includes dropping a lot of augments from power and moving them to surge/acc/alacrity, and its been getting results in raids for me. Feel free to check it out. Hello Kwerty, first of, great guide! I do have a question though regarding the alacrity gearing. Can you give stats values instead? I ask because I already have most of the set pieces and can’t really get new unassembled pieces as guild rules won’t let me roll if I already have the set pieces. In 192s its 555 alacrity, and in 198s its 600 alacrity. I’m glad that someone finally went with the approach of augmenting with stats other than power/crit/mainstat. This way you can get your Accuracy from augments instead of Initiative Enhancements which are hard to get and keep your Enhancement slots open for Alacrity & Surge. I suggested this on the official forums and got blasted by the “traditional” theorycrafters because it’s bad “gear management”. When asked, however, to show me a DPS decrease with numbers I got no reply…. Definitely use the Acc/Power piece (which I believe is the Eliminators version). There are only 3 token options that even have accuracy (well, 4 if we include the merc chestpiece) with aim on them (I’m not mentioning implants here because Pyro doesn’t need that much crit yet) so you have to get it where you can. The only difficult choice should be “Will I get a lot of accuracy augments, or will I replace a ton of armorings and lose a decent amount of alacrity?” Both options perform about the same on a dummy anyway, so its all personal preference. Yo, do you have any updated info on how much people should be parsing in mostly 198 with 192 MH? In 20 + parses I am still unable to break 5200 in pyro when there are tons of IO mercs and engi snipers easily mincing such numbers… are we really so far behind? edit: example parse in 192/198 mix. Only had time for some 500ks today but the number of ability activations is fairly representative of what I would activate. Am i doing something wrong, or are we just destined to come in third on single target sustained??? Sadly, I’ve only got theorycrafting. However, something to note that i’ve discovered recently (thanks to Aetrus): The 6-piece bonus provides the auto-crit to immolate, but doesn’t get consumed. This only happens in Pyro spec, and doesn’t happen for AP or for Vanguards. This means with a slight rotational modification (which will be in my next update for this), you can have 75% of your immolates Auto-crit should you use >5% alacrity. Of course, a bunch of people aren’t likely to do this, and its probably closer to a minimum 6% to account for lag and for Pulse Cannon, but if you can abuse this then BAM – Huge DPS increase. And then make sure every 4th immolate has a Flame Burst immediately before it. Another advanced thing for slightly more damage: You’re not gonna get the full effect of 2 attack adrenals. Just don’t use the adrenal until you hit 30% health and SC/Explosive Fuel are available again, and try to time it so it works alongside the damage buff provided by Flaming Fist (2-piece). On a 500k dummy, don’t even bother with those 2 until you hit 30% health. Also, another thing that gets slightly more DPS is to delay Explosive Fuel until the Flaming Fist instead of Flamethrower, as that way you get +2% damage and +25% crit chance at the same time. Also note that IO Mercs are OP as hell and probably gonna get nerfed soon-ish (hell, they got mad at Pyro PTs for doing too much damage!) and Engi Snipers have to deal with a lot more mechanics than we do to do their damage. Anyway, if you abuse the info I gave above and equipped a 198 mainhand, I have no doubt that 5.2k dps would become the Average, as opposed to the outlier. Just remember to get the 7-8 Alacrity Augments to truly abuse it, and get rid of all your crit rating. Now that is extremely interesting about the immolate, thank you so much for that 🙂 . I wonder how long it will take them to fix that unconsumed proc but that’s hilarious lol. Unfortunately my group hasn’t managed to down revan yet, and powertech is third in my list of toons so it’ll be a long time until he gets the MH, but i’ll definitely let you know how the immolate adjustments play out. I play engi sniper a lot, and I’m looking forward to that IO nerf 😛 I actually heard that some of the people testing IO on the PTS withheld rotational information from BW to ensure that their class would be strong, although i’m not sure if that’s just a rumour. As a note you list Battle Focus (in the rotations) instead of Explosive Fuel. Other than that, great guide! Thanks for that, I’ve gone and updated it. Why can’t any of these guides just list the mod builds? It’s a very simple thing that literally none of these guides do, ever. It’s stupid. Just show us your armorings. modifications, enhancements, etc, and how many of each. That’s literally all I want to know yet not a single guide on the planet goes over this. Sorry I didn’t do this for you, but there’s a very simple reason: There is a ridiculously huge number of possibilities for Best gear. Well, not completely, but the best option was listed in the “High Alacrity Gearing” section. Outside of that, its just a case of getting crit to a level you’re comfortable with once you’ve got your chosen Surge/Alacrity values by using the graph provided and having a combination of crit crystals, augments, mods, enhancements, earpiece and implants. r instead if magnetic blast since it does more damage? You’re looking at the AoE rotation. Put simply, if ED hits 2 targets, it does more damage than a Mag Blast. Hey came back to swtor after 2 years and cant find a talent build for the powertech 🙁 I dont know which talents to choose, so anybody can help me out? Well if you came from 2 years ago, you’d at best be level 50. This means no shoulder cannon, and no access to the heroic tier of utilities. For leveling from where you’re currently at, I’d say go with the AP or Shield Tech (Shield tech works very well at doing dailies and leveling in DPS gear) Discipline until level 56, then choose from there. This is because without flame barrage, Pyrotech has difficulties in fights longer than 30 seconds. Take the utilities of Pneumatic Boots, Bracer Propellant, Engulfing Flames, Pyro Shield and Torque Boosters and go to Makeb for the first 5 levels, then go for Forged alliances. 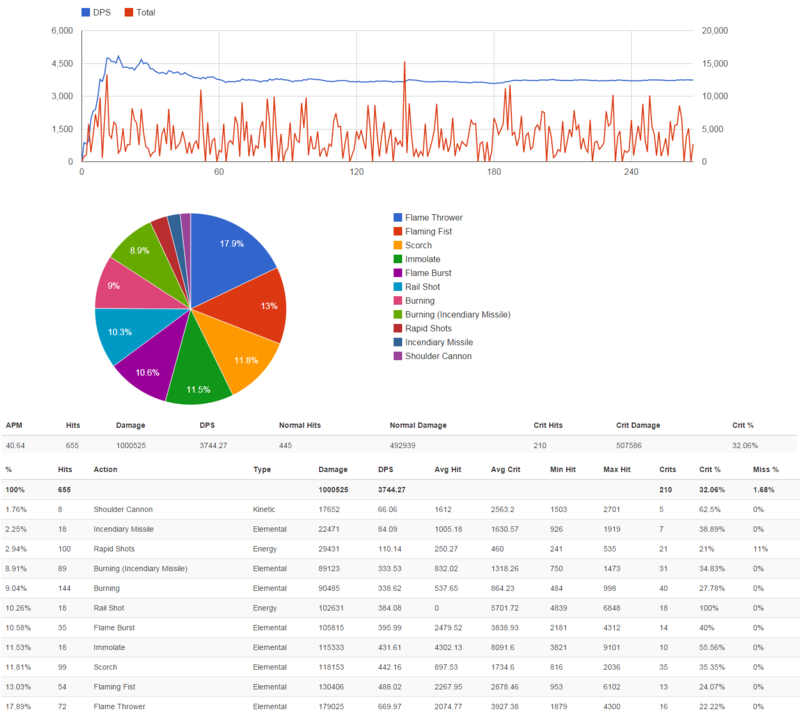 After that, you change your utilities based off what content you are doing, e.g. different boss fights have different utilities, such as taking a lot of CC-based utilities for Revanite Commanders, or a lot of direct damage utilities (e.g. Pyro Shield, Reflexive Armor) for The Underlurker. Let’s say I have thermal detenator available, but i can aslo use magnetic burst to proc PPA, which one should I use first, MB or TD? I would probably try to get the proc first, is this correct? As for the other question, if TD and RP are available at the same time (no PPA to proc) which one would have the priority? Also, you mention using TSO on death from above in the single target section, but I assume you mean Unload? For the first question, you should delay the TD for the PPA Proc. The second question is it depends on how many GCDs until the PPA proc. If it’s GCD 1 or 3, use TD. If it’s GCD 2 or the PPA proc, use RP. By doing it that way, you make sure they never conflict with each other, and the PPA proc will always be free of TD. In all seriousness though, yeah, it was supposed to be Unload, and next week I’ll be changing it to Energy Burst. With the upcoming changes to Pyro in 3.1.1 (the damage shifting towards Flame Thrower and the surge bonus to Scorch), do you think that crit rating will become more useful in that discipline (even with the auto crit Rail Shot)? Plasmatech, yes. They still haven’t fixed the pyro 6-piece bug, and the rotational changes caused by the nerfs will make it even easier to abuse a 75% auto-crit rate on immolate, so Pyro will need very minimal crit rating. As of right now, 192s will want 52 crit rating (1 augment), and 198s will want 93 crit rating (1 augment + 1 crystal) – At least once 3.1.1 drops. What would be the best gearing method if you wanted to be viable in both Pyro and Ap? I find myself switching between the two very frequently and have been trying to find a proper balance between the two. My rotation in AP needs some work, but my rotation in Pyro is spot on. I have mostly 192 gear with set bonuses and such but I cannot go over 4800 in a parse. My alacrity is at 333 and my crit rating is at 311. I have guildies that do a ton more DPS than I do with no alacrity. 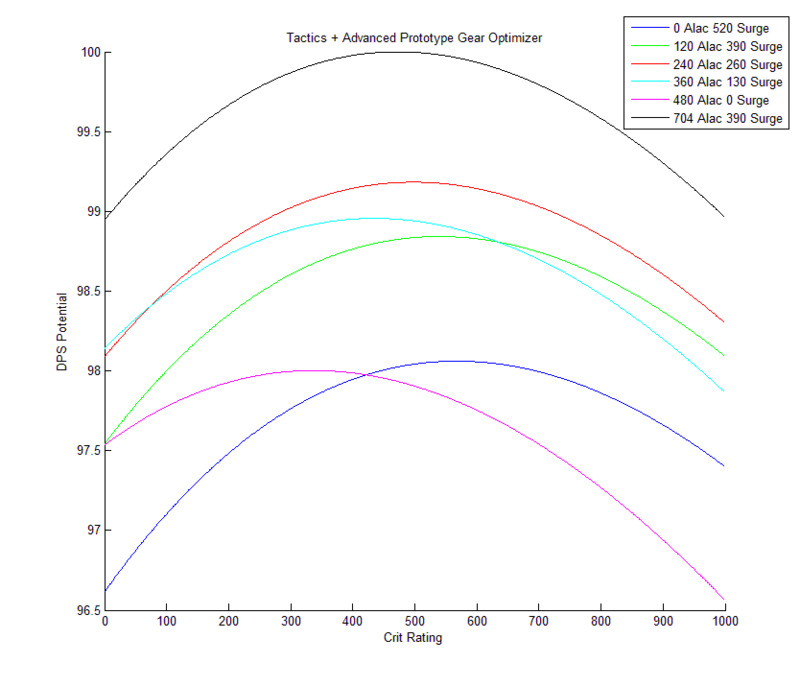 Is alacrity worth gearing if I am trying to pull good numbers with both specs? Honestly, if you were to start now, gear up for Advanced Prototype. The DPS nerfs coming in 3.1.1 are huge – upwards of 500dps less (I can barely break 4.5k with my vanguard on the PTS despite having more optimized gear, while on live I’m breaking 5kdps). Plus they are destroying the rotation by removing a free Flame Burst every 15 second cycle because Rail Shot will no longer proc it. As for alacrity, I’m running 600 right now, because it performs slightly better on average, and it just feels right. The easiest way to test though, is thanks to the PTS you have infinite character copies. Hey, Kwerty. Do you think that, after 3.1.1 lands, AP will be pulling better numbers than pyro? I’ll do my best. Do note I was waiting for the patch notes, hoping they would go back on the change, before doing the complete rewrite. Sadly, they didn’t go back on it. The 3.1.1 update should be out by the weekend. Hi Kwerty, thanks for all your hard work. It got delayed by an incident with the clicking the save button without making an offline copy first (wordpress sometimes likes to undo all your changes without telling you). Anyway, I’ve got the vids made, the parses ready, and all thats left is recreating the images and rewriting the wrong bits. On a side note, its amazing how much a difference the gear that I couldn’t legacy across made. I was tempted to legacy across the mainhand but… I decided not to in the end cause I’d have to pull stuff out of it. Thanks for the swift reply. Can’t wait to see how you managed to cope with the changes, cause I tried to make any viable rotation out of it and failed miserably. Alacrity is a direct DPS percent increase. 1% alacrity from 0% is a 1% boost in DPS. It is because of this that Alacrity is so great now. Similar to how its better to use lower level armorings with a set bonus as they are a percent increase, its better to drop some power in order to have more alacrity with Alacrity being a percent boost. 1. High gear levels. 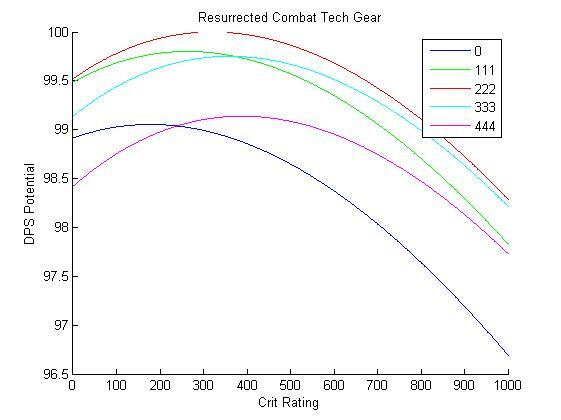 Because of this, our gear is providing upwards of 2k bonus damage to tech attacks, which when combined with the extra 300 base damage to everything means that you can sacrifice power augments for other options with minimal losses. In fact, almost every spec benefits this much from alacrity. The only exceptions would probably be warriors + Assassins in raid situations, as they are melee specs with great resource generation to the extent that downtime won’t really be boosted by more alacrity. I have had people of multiple disciplines test this out too. The top Serenity parse, for example, had over 700 alacrity rating. Ashia from Manticore also mentioned going from 4.4-4.5k averages to 4.7k averages by upping alacrity to ‘massive’. And I’ll personally be running 600-700 alacrity on my mando once I start gearing him up. And to think, this all stemmed from a marauder being sick of the slow feeling of new Annihilation and so he bought 14 alacrity augments. I read your advice about massive alacrity as AP powertech, and i’d like to test it out but i’m already full 192 optimized gear (6 items accuracy, 3 surge 1 alac). In order to test it out could i just get rid of 1 surge in favor of 1 alac and get the rest of the alacrity by augments? Would that work? i’d like to avoid having to recover tokens in story cause my guild don’t do story anymore. Yeah I’d say that would work. Remember that stats tend to have a pretty decent amount of leeway, so you could go 100 points in either direction and not notice it at all (which is why people never bothered with more alacrity in the past). Though another option of course would be getting your hands on MK-2 gear, whether its from Storymode Ops or HM FPs, they will always have the good enhancement in them. Other than that, as you gear up, initially upgrade your alacrity pieces, and when you run out of Alacrity pieces to upgrade, thats when you start replacing Acc pieces for Alac pieces + acc augments. Thank for the hard work on this mate, we all appreciate it. Yeah that was a silly mistake. I went to all the trouble of fixing up every faction name after the copy/paste this time and I still managed to screw that up! Regardless, the Ability Usage tab on parsely has 5 columns. First Usage: Not really used, though with AP I use it to see how well my resources were at the start by looking at both this and Rapid Shots. E.g. in the parse above, Rapid Shots was first used 61 seconds in, meaning my opener had resources used properly. Last Usage: I don’t really use this, but I can understand its usefulness – e.g. if you were to use a long duration DoT in the last 3GCDs of the fight, you know you could have ended it quicker. Avg Time: This is the important number. Its the average cooldown of each ability, so with this column you can see how long you delayed everything for. You’ll either uncover an APM issue, or a rotational issue with this column. Thank you. Very good explained. I was mislead by the numbers of digits, as sometimes they were with 3, other times with only 2, so couldn’t understant what they exactly represented (also . with , switched around in my country). Obviously now, the numbers are seconds and feeling a bit silly for not understanding sooner. Anyway, I was wondering how should Alacrity be increased from full 192 to full 198, as most of time I am somewhere between BiS 192 plus some 198 pieces (aside from Implants, Relic and Earpiece). Lacking a “potential DPS” equation (which I guess is not a simple one), my only method of finding out semi-198 alacrity level is the empirically one. Method which consumes a lot of time, as one parse is far from enough. All the above lead me wondering if there is an alacrity base number based on a pool stat or some other form of calculation for it, without bashing the dummy countless times. So while in 192s you have to change an enhancement from Alacrity to Accuracy to get it right, in 198s you have to do it the other way around! Thankfully, the accuracy piece you can dump is the mainhand, which will take a long time to get. So in the meantime, just use the enhancement out of a MK-2 random drop during the period of time you take to get up to actually killing Revan. how come you use FT without 3 stacks in a lot of your FT’s? you only use it with 2 stacks is there a reason for this? Yep. They removed the proc “Flame Barrage” from Rail Shot. This means that you no longer have the resources for a 3-stack flamethrower without giving something else up or delaying it. After a lot of testing, I determined that losing a flame burst + an extra 15% on flamethrower was the least harmful option for keeping resources intact. There is a reason it was ranked 9 in terms of single target DPS before the update and is now ranked a 6. So you’re filling the gap with 2 rapid-shots or how do you manage your resources now? Most of the time I’m filling the gap with rapid shots, but if it procs the set bonus then I will use a flame burst instead. I’m lost in this updated rotation, can’t seem to get through it without overheating. I’m guessing this is Pyro (Cause AP all you do is remove unload from its very situational use). Basically, its similar to the old rotation, only you don’t use the flame burst that would usually follow Rail Shot (unless its to proc the 6-piece set bonus). I did delay the third flaming fist by 2 GCDs though in order to allow a slightly tighter rotation (it means you can spam the flaming fist hotkey without clipping the flamethrower). Thats the other thing that makes the spec difficult to pull off. You have to try and avoid clipping Flamethrower, but have minimal downtime after it finishes channeling. You can see this issue with my example parse, where I didn’t optimally clip Flamethrower and ended up with 7% less attacks than I could have – basically negating my Alacrity. That’s a REALLY tight rotation though, not sure how I’m going to pull it of in actual op’s. 😀 Can’t wait to give it a try. Thank Kwerty, you’re a prince. Please tell me I’m not in fact going crazy and you’ve removed for some reason the listing of which pieces of set gear we should get. I could’ve sworn I saw on this very page the other day that we should get the chest, belt, bracers, main and some other gear from Combat Tech and the helmet and something else from Eliminator and some third category, but I can’t find that anywhere on the page (or elsewhere, for that matter). Oh damn, that update I did must have removed it. That may be the case, but its your last resort in terms of damage. Rocket Punch does more damage. Energy Burst does more damage. Thermal Detonator does more damage. Rail Shot does more damage. If the target isn’t bleeding, retractable blade does more damage. So it has to compete with rapid shots. And if you don’t have the resources for your other abilities, you are better off using Rapid Shots than using Magnetic Blast. Not to say Mag Blast isn’t an amazing ability or used that often, hell its usually my most used ability in AP spec. Note: I’m using the PTS for this, so I may just leave the update out of it until 3.2 drops. Since 3.1 i found myself using AP on almost all the HM content, but i’m still wondering if i should go pyro for revanite commanders even if i got nerfed? It could work, but right now I’m doing just fine with AP on revanite commanders. It helps a lot you don’t have to deal with Lord Kurse’s AoE damage reduction. Of course, come 3.2, I’m gonna definately swap to Pyro on that fight. The significantly better damage and slightly better resource management that 3.2 is giving the spec will make it the better spec on 4 of the HM fights (Revanite Commanders, Torque, Sparky, Malaphar). I know i shouldn’t ask here, but my guild and i are having trouble on torque HM mainly for dps and bug reasons. So do you have any advice about Torque as a powertech, and how could we avoid the stucked droid in the door? And another question : one of my friend asked if the alacrity orientation is also great as a Mercenary. Since you are one of the few talking about it on dulfy, could you help or tell me where to look? I’ve been trying out alacrity on my mando, but as I currently have no idea what i’m doing and only have my VGs gear to test it with, I can’t tell if its an increase or not. What I can tell you though is the maths backs up high alacrity, something between 500 and 700 should be fine after the recent nerfs. As for Torque, it all depends on your raid composition. For the purposes of this explanation, I’ll assume its 2 ranged, 1 melee and 1 PT for DPS, and tanks don’t matter. First off, Positioning the boss right. Typically, we will either have the boss aligned as below (bottom of this comment), or mirrored. The closest circle to the boss is the MDPS, who’s job is to tunnel the boss, while the orange circle is the PT in this situation. If you have 2 PTs, one of you can be the boss tunneling one. Since fire comes every 30 seconds, we typically wait till the fire for everyone to get in position, and normally have the boss somewhere around the middle first. When the Shoots Lasers shows up, everyone bar the boss-tunneling DPS moves to it and kills it ASAP. Also, the Orange guy needs to stand between the Shoots Lasers and the repair droid (if the repair droid is out), as the Shoots Lasers will cause the repair droid to bug out if it manages to hit it. Fire droid is typically ignored to be dealt with by passive AoE, but if it is in the way then most DPS can swap to it or a Jugg can pop reflect and make it kill itself. Though we typically save reflect for dealing with wall turrets. Rule nr. 1 of Bounty Hunters: never overheat (over 40 heat). 🙂 After spending your heat cooldowns, usually a lot of MB will be replaced by Rapid Shots so you will never go over 40 heat. Alacrity helps, in fact, the heat dissipation, and at ~700 Alacrity your heat dissipation rate is increased to 5.4/sec from 5.0/sec. In non-combat dummy that means more heat dissipation in between phases breaks and more abilities used during the DPS window. Of course, after some point, Alacrity will draw too much points from other stats to be effective, so about 700-750 alacrity should be fine. I am painfully away of the mechanic… It’s the bane of my existence. What I am wondering is how overheating compares with alacrity vs power/crit. I know it will happen faster, but is it FASTER OMG or just faster? Are you going to update the gearing for pyro in 3.2? I really can’t wait for that, love the changes on pts. Of course I am, when I made this, I intended to be in it for at least until 4.0, if not longer. +1 for can’t wait. 😀 I’ve been looking forward to it since the preliminary notes. Hey Kwerty can I ask how you’re getting that much alacrity into your recommended gearing for some of this. 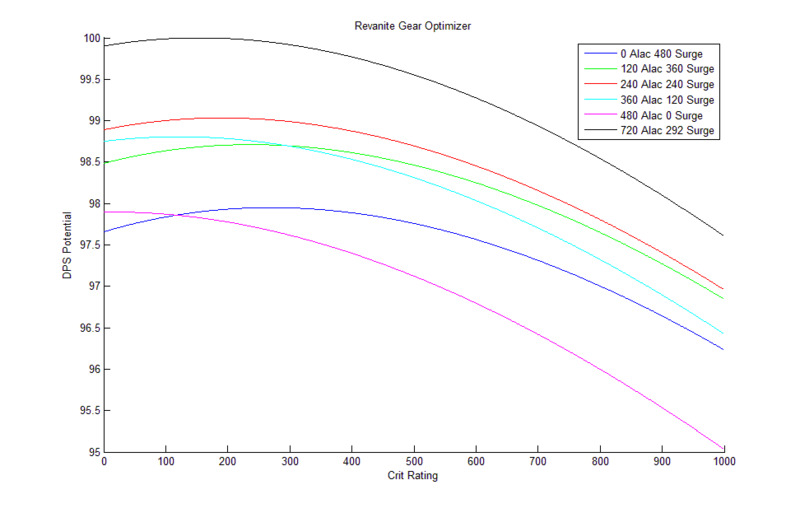 Like the 600 on the revanite pyro graph. You alacrity augmenting? Keep in mind I don’t have as much revanite gear as the rest of this is going to sound, I am slinging numbers. By using 5 198 Acc enhanc (earpiece is acc so counting it for one of the 5) and 3 augments im getting right at 756 acc. That’s only giving me 3 enhancement slots to work with. I use the two implants as surge. And put two of the Enhancement slots of alacrity. That puts me at 756 Acc, 240 Alacrity, and 240 Surge with one free enhancement slot. Now if I swap in another surge enhancement that gets me the 360 for the black line of the graph. Question is (and I am assuming its augments from here) where is the other 360 alacrity coming from. Do you drop more acc enhancements and put more acc augments or drop mainstat augments and add alacrity enhancements? I’m currently using only 2 accuracy pieces and 10 accuracy augments. This nets me 760 accuracy rating, which I personally prefer over 756. Why? Cause I once had 3 consecutive wipes due to missing interrupts on NiM Draxus despite having 99.98% accuracy. It made me paranoid about missing. You end up with ~440 crit rating, and BiS gear in every other slot. Hey thanks for the response. Just a quick note, the Combat tech MH is Crit/Acc. The Eliminators is power surge. I appreciate the breakdown, helps a lot man. You think I could bother you for an AP one? Trying to figure out what gear to put the minor changes in so I can carry two sets for either spec on a fight dependent basis (yeah its expensive, but I’m crazy). yeah that ‘Combat Tech’s mainhand was a screwup. Then again, the 204 Mainhand from Colossal Monolyth is a Power/Surge mainhand, so since most people are skipping revan for that mainhand you don’t need to do anything fancy anyway! Haha I just realized I was looking at the AP Resurrected chart. Oh man that makes sense haha. Thanks K.
Hi, is the above mentioned for pyrotech? Think i have some problems with my pt i started playing it only 1 week ago, here in guide a pt with 186 mh does 3.7k dps on dummy, but my best result on dummy is 3.7k too with 192 mh and 198 offhand. full augment alacrity > acc > surge, 2 piece set bonus only. Stats 100/110 acc, 24% crit, 66% surge, 740 alacrity, 2.2k ranged, 1.8k tech damage. here is log. Would be glad if someone will help me. 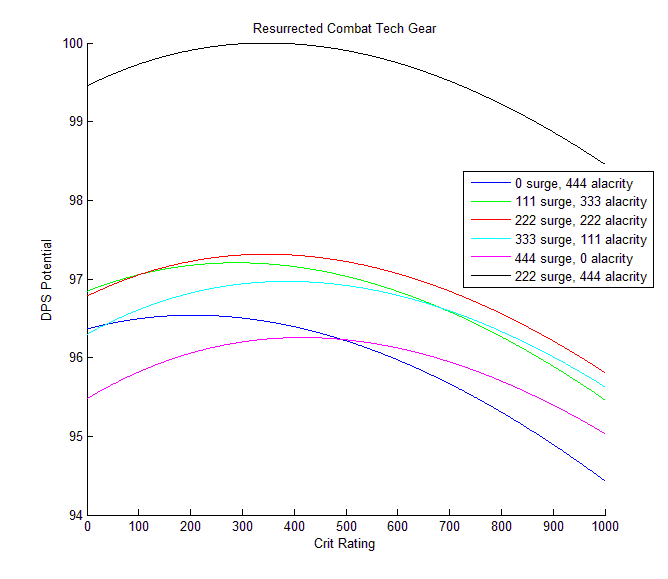 Regarding gear, 740 alacrity is good for high-end gear, mainly 198. For 192, you will get better results with about half of that. Critical seems a bit low, too, and if you want to get better answers, post your stats points, not percentages. 1. 48 APM is low for 740 Alacrity rating. You should have about 50. 2. TD & RP not used on cooldown (they have even a 5 seconds delay which is high). 3. Considering a 8.5% alacrity (740 points), you should have a number of 49 Rail Shots, while you have only 40. That translates you didn’t procced PPA each and every time. Nothing that cannot be fixed, but look carefully on this guide again and practice more to eliminate hesitation in using abilites and more important, the correct order of using them. Hi, ok i will try to add more crits. What dps should i average have with that gear? Also, isnt 192 set gear atm best? it has better dps stats aim+power than 198. OK, I will make a quick rundown. As a rule, token gear (from Ops) > comms gear (Elite, Ultimates), at the same level. Token gear gives BiS (Best in slot) mods and enhancement, along set armor plate. Best in slot = better stat balancing. So unless we do a ridiculous compare, like 168 token vs 198 comm gear, token gear is always the aim. The best play is, needless to say, the one in which you don’t overheat. Following the current guide, you should use Rapid Shots based on your heat level, without endangering your TD/DP use on CD or your PPA proc. Since patch 3.2 i found myself using the pyro spec much more, so i have a question about the alacrity build. I’m currently using the 720 alac (6piece) 240 accu 240 surge build (mainly cause i was nearby only AP on previous patch) and i saw that pyro spec use 1 more surge piece and 1 less alac piece. If i want to be able to use both specs, without changing one enhancement (i don’t have one right now), shoud i go for 720 or 600? The current BiS is pretty much the same as Advanced Prototype, just with ~250 less crit rating. And the 3.2 update is out! The next update is aimed for after i’ve pulled HM Revan a few times and also gotten myself a 204 mainhand. Wich gering method would you recommend for AP at the lurker? Firstly, utilities. I would choose Bracer Propellant, Iron Will, Reflective Armor, Pyro Shield, Torque Boosters, Sonic Rebounder and Overdrive. This utility combination gives you maximum damage and mobility for during adds, and the ability to help cheese the cross mechanic. Next up, don’t worry about the bleed on targets unless you get to solo an add, or are on the boss. The passive heat venting from all the AoEs going out is almost equal to the heat venting from hitting a bleeding target, and the occasional situation if being caught at range means that you’ll sometimes miss out on a hit. Do prioritize a bleeding target though, such as if you have a Vengeance Jugg or Annihilation Marauder in your team as well causing bleeds. Thirdly, Hydraulic timing. The first time you should use it is when collapse starts being channelled, unless you are already in position to hide behind a rock or if all the adds are dead. The second time is as the boss starts channelling Devastation, as once it finishes you have 3 seconds to get into melee range of where an add will spawn. Also note that the adds always spawn in the same spot. NEVER USE HYDRAULICS TO GET TO AN ADD WHILE THE SLOW IS OUT. If you do this, and the adds don’t die in time, you won’t have it up to get to safety behind a rock. Oh and don’t threat drop ever. The point of your threat drop is not as a threat drop. You use it to shield the raid during devastation, as the boss (according to player observations) does 3 hits to random raid members of ~20k each normally, and when you fail this is boosted to ~60k. But with a sonic rebounder out, the entire hit is absorbed, resulting in the massive hit doing damage to the boss instead – to the extent that, unless you are very unlucky, even a failed cross will result in no damage going out. Thanks for this guide. I just started the powertech and it very helps. At start of level 60 i used aguments with aim then i read that guide and changed to alacrity. Two aguments are at surge because my gearing is due 190/192 at these moment. In different to before it feels that my damge is lower with alacrity, but i thinks my rotation is not the best in time. Aim – 3545 too low? crit – 31,57% (617) too high? The most datacrons are missing jet but thats not crucial i think. I think thats i need more aim or ap but i am unsure about it. I hope my english is good enough to explain my situation. Otherwise ask me. It would be greatto get some advices. APM – Your APM is lower than it should be. With 7.37% alacrity, you want an APM of ~49.31 based off your parse you linked, whereas you had an APM of 44.38. ABILITY USAGE – You aren’t really trying to use Vent Heat + Thermal Sensor Override on cooldown. Similarly, Rocket Punch, Thermal Detonator, and Prototype Particle Accelerator weren’t used/procced on cooldown (something that has to be done for typical DPS). And your APM would also jump a bit. At 3750dps, your APM would be 49.92 assuming optimal use of abilities – noting your parse had some OCDs delayed for twice as long as necessary in some cases. Also note that is without altering your gear at all. Gear alterations will probably add ~200dps as well, bringing you up to a nice 4k dps. Oh and 12x XP is out – Go get that Knight/Warrior buff, its very easy and it boosts your bonus damage by 5% which is quite a big boost. ABILITY USAGE – You have quite a bit of difference between your abilities and the actual CD of them. Rail Shot is used 7% less often then it should be, Rocket Punch is 4% less often, TD is ~6.5%, and your hammer shots use is a little high. Also note that your first rapid shots is quite early, and because of the lower uptime on Rail Shot than you should have, your rapid shots use is high (Rail Shot is your best resource management tool, and proccing it on CD is a must for the spec). As for how you can improve this? 1. The opener. Since you don’t have to worry about a pug tank pulling it (or the countdown for that matter), feel free to pre-proc Prototype Particle Accelerator before the parse with a Flame Sweep. This makes your first Rail Shot free, so you don’t have to burn Thermal Sensor Override on it. 2. Explosive Fuel. The opener provided here assumes you have the 6-piece set bonus, which causes your Energy Burst to automatically crit. Since you don’t have that, you don’t want to delay Explosive Fuel to after Energy Burst, because then you miss out on the biggest benefit of it. 3. Pretty early on, you’re already making the mistake of delaying a Rocket Punch for a Rail Shot. Since Rail Shot will always have its CD reset on the proc, you never have to delay Rocket Punch for it to be safe. By having the opener set up the way I have it in the guide, you can use Thermal Detonator and Rocket Punch on cooldown, and you will never have problems with them interfering with the PPA proc or not having enough time for a rail shot. Speaking of which, since you have the 4-piece, you don’t even have to rapid shots at all until the 1-minute mark. Once you’ve done the opener shown above, just keep following the priority list until the second energy burst is available, though ignoring rapid shots. Use Vent Heat around the time of the TD after the next energy burst, and use Thermal Sensor Override on the third energy burst. For the next ~40 seconds after that, use rapid shots in the filler periods unless you will cap on resources because of this, before dropping rapid shots from the rotation again (continuing to use Vent Heat on cooldown and Thermal Sensor Override on Energy Burst). Doing this should result in a DPS increase of about 80. This isn’t much, but thats off that specific parse, which the crit rates were all over the place. So what if I were to add the 6-piece set bonus (4 auto-crits to energy burst)? Well, your energy burst crit rate was an abysmal 18.18%. This means that 2/11 energy bursts did a crit. Lets up that to 6/11, because thats what the 6-piece would give ya. Thats a 30% increase in the average damage of a cell burst. Anyway, 4k is a good point for a mix of 186 and 192 gear, so don’t feel too worried about it. Just keep practising the keeping PPA on cooldown (Magnetic Blast or Rocket Punch every 6 seconds) and keeping Rocket Punch and TD on cooldown and the damage increase will start to increase quite drastically. Only started to parse the last few weeks and wondering if you could help analyse my recent results? I know my APM should be higher but have been a clicker for years and have only just started to keybind and am still learning to use my new Razer! At level 55, you dont want crit as a Pyro PT. At all. Primarily, you want 100% accuracy. This will use a decent chunk of your budget and a lot of your augments too. I believe the rating for this was about 695 accuracy. Afterwards, you will want ~250 surge, and about the same in alacrity. Not 100% certain on this since I haven’t done the maths on level 55 gearing (since it was changed in 3.0), though gearing should be similar to what AP’s gearing was pre-3.0, which is where these numbers are coming from. Finally, you won’t have the resources for 3x Flaming Fists every 30 seconds (Free flame burst comes at level 56), so just use it before every Flamethrower – though you can use it closer to on cooldown if you can get your heat under control. how do I preload the shoulder cannon??? Click the shoulder cannon button and it loads. This guide is absolutely amazing, thanks! Hi Kwerty so for you 720 alacrity 350 crit and 240 surge are actually the best stats for maximize the powertech advanced prototype dps in PVe ? My PT is geared with full 192, 2-pc set, and some 37A mods, also, fully Reflex augmented gear (No Alacrity). In general, 10 pieces out of 14 are BiS. As you see, my APM is at 43.4 and I think it’s too low, even for a non-Alacrity build and I’d like suggestion on how to improve it. I usually play around ~146 latency. Similarly, Thermal Detonator is used every 16.5 seconds, where an optimal situation would put it at 10 seconds. How can I use TD if it’s CD is 15 sec not 10? I think the most possible APM for TD is 15 or 15.5, more or less, unless I’m mistakenly confusing with another ability. hi guys, im relative new to the game and i’ve been playing with the bounty hunter and i dont know what class to pick,i have been searching around forums and there is nothing realy up to date , so if you guys could explain me what spec is the best rigth now i would be very happy, and by the way i was locking forward to play as the pyrothech because of ”FIRE” but everywhere i reed people are saying he is bad. 3/4 of the Bounty Hunter DPS options are excellent. If you are after raw DPS potential, there’s the Innovative Ordinance merc. As you said, you like fire, and that spec if full of it, with 3 burns baseline and a 4th one available in an AoE rotation, and on top of that its tied with Virulence Snipers for the best DPS class in the game right now. However, if mobility is more your thing, Advanced Prototype is there. Since nothing is casted or channeled, you can get your entire rotation off while moving around. On top of that, a number of defensive benefits that the IO Merc would have to spec into with utilities come baseline, meaning you’ll do better in reducing damage taken than someone on a merc (which can be very helpful in some of the later fights). Can you put stats to get with comm gear? It’s too hard to get full ressurcted gear cus unless you’re on a progression team you usually lose the rolls and if you have 6pc but using comm for rest people won’t let you replace comm pieces for token pieces. Well in most cases, comm gear is worse anyway. I’d suggest getting as close to the rating 192 gear with the gear from Ziost (Rating 190 gear) instead, as it will not only perform better than ultimate comms gear, but because its rating 190 instead of 198 then people will let you roll on gear. Armorings wise, its better to make the small sacrifice now in order to get the better rewards later. I use the RS before EB because you lose more by using the EB before the RS than after it. If you use Mag Blast to proc the set bonus’s, you also waste a Rail Shot. So the question is, is ~2.45k damage worth the loss of a rail shot, and delaying RP/TD by 1.5 seconds each? RP is ~5.2k damage, and TD is ~7.1k damage. A 1.5 second delay to RP is ~900 damage, and a 1.5 second delay to TD is ~700 damage. Together, that’s 1600 damage, so now its a case of “Is the armor debuff + sundered debuff worth 900 damage?”. Yes. Yes it is. In fact, its worth 1100 damage (ish) to that energy burst, so taking the early EB, while better for opening burst, is worth less in the long run and just makes your tanks hate you. What about 4.0 gearing and rotation 🙂 ? Rotationally, the only change is the opener has Explosive Fuel moved before Energy Burst for AP, as the extra crit chance now translates into more critical damage. He uses a similar method to what was used to achieve the graphs above, though he went far more in detail in order to get the perfect numbers. You can also find optimal stats for disciplines not included in this guide in that thread too. I fully trust his work and I have gone over it to make sure there weren’t any mistakes, and as far as I can tell its all accurate. Other than that, ratings need a slight tweak. And by that, I mean Pyro is now a 3/10 for single target damage, and AP is a 9/10 for single target damage. First of all thanks for the 4.0 PT/VG guides. 🙂 yesterday heard few people talking about an incoming PT-AP/VG-TC nerf.I thought that they are fail rumors,since its a bit early.Any thought about this?